The Venezuelan state-owned PDVSA hopes to retain access to Bullen Bay terminal after its lease expires in December 2019, but the Isla refinery at Schottegat has lost strategic value for the company. This is according to sources within the Venezuelan company. The refinery barely operated in 2018 because of a lack of feedstock, maintenance and domestic utility services. Normally the facility processed around 220,000 b/d. A senior Venezuelan energy ministry official said PDVSA no longer has any commercial or financial interest in the refinery. "Isla has lost its strategic importance as a refining center for our company," the official said. "PDVSA can't supply the crude Isla needs, can't afford imported crude from other suppliers and doesn't have the financial resources to maintain the refinery even in nominal operating capacity." "Bullen Bay is very important to PDVSA's export logistics, but PDVSA isn't interested in spending up to $3bn to upgrade the refinery," official added. Bullen Bay is a critical transshipment hub for PDVSA's export operations, particularly involving shipments to China, India and close ally Cuba. PDVSA also leases storage on the other Dutch Caribbean islands of Aruba and St Eustatius and owns the 10mn bl Bopec storage facility on Bonaire. The value of the logistical network was highlighted in May, when US independent ConocoPhillips imposed pre-judgment attachments on PDVSA's Dutch Caribbean assets to force the company to honor a $2bn arbitration award for the 2007 takeover of the US firm's Venezuelan assets. PDVSA reached a settlement with ConocoPhillips in August and has complied with an initial $500mn cash and in-kind payment, the US company confirms. PDVSA is otherwise in default on billions of dollars in bond, commercial and arbitration debt. PDVSA’s export operations would be significantly impaired if it loses access to Bullen Bay, according to a company official at the main Venezuelan oil terminal of Jose. PDVSA lacks sufficient domestic storage and terminal capacity to compensate for a potential loss of access to Curaçao, although continued access to Bopec, Aruba and NuStar's St. Eustatius terminal would soften the blow. Venezuela's current production of just over 1mn b/d and significant oil-backed debtcommitments and barter deals leave little room to supply crude to Curaçao, the Venezuelan officials say. A seasonal shift in refinery activity has helped turn gas into 'the unwanted hydrocarbon', an oil expert told CNBC recently, which is unlikely to last beyond winter. Russian Energy Minister Alexander Novak. The oil producers have been coordinating output for two years and have long discussed institutionalizing the partnership. Novak cites burdensome bureaucracy and U.S. legislation that targets OPEC as reasons to abandon the plan. The marriage between Russia and OPEC is off. Russian Energy Minister Alexander Novak on Friday poured cold water on long-simmering plans to make Moscow's alliance with OPEC and other oil producers permanent. The group of roughly two dozen producers has been managing global petroleum supply for the last two years in order to rebalance the market after a prolonged and punishing oil price downturn. The effort succeeded in shrinking global crude stockpiles and boosting prices to four-year highs — until the market suddenly crashed again in early October. The group has agreed to a fresh round of output cuts that begin Jan. 1. For at least a year, OPEC Secretary General Mohammed Barkindo has discussed "institutionalizing" the arrangement. That would essentially form a supergroup of oil producers comprised of the 14-nation OPEC, Russia and nine other oil-exporting nations, which would be able to more quickly respond to problems in the market. Energy ministers had been talking up progress toward the permanent arrangement as recently as their meeting in Vienna earlier this month. But on Friday, Novak said the prospects for that plan now look dim, Reuters reported. He said it would create too much red tape and expose the non-OPEC members of the alliance to potential sanctions from the U.S. government. "There is a consensus that there will be no such organization. That's because it requires additional bureaucratic brouhaha in relation to financing, cartel, with the U.S. side," Novak told reporters, according to Reuters. The U.S. penalties in question are spelled out in legislation known as NOPEC, or the No Oil Producing and Exporting Cartels Act. The bill would authorize the Justice Department to sue groups like OPEC that are deemed cartels for price fixing and antitrust violations, stripping countries of sovereign immunity protections currently built into U.S. law. The legislation was first introduced in 2007, during a time of rising crude prices and concerns that the world's oil reserves would run dry. It was revived earlier this year in both chambers of Congress by bipartisan groups of lawmakers. The White House has historically opposed the legislation, but President Donald Trump's attacks on OPEC this year have raised concerns that he could back the measure. However, like past presidents, Trump has shown he is willing to work with OPEC when it suits his needs. His administration lobbied top OPEC producer Saudi Arabia to reverse the alliance's policy of capping production in order to prevent oil prices from spiking as the U.S. prepared to sanction Iran, OPEC's third-biggest producer. The alliance agreed to hike output in June, a decision that ultimately contributed to the current oil price slump. Russia and Saudi Arabia were the world's top two oil producers until this year, when U.S. output surpassed production from both countries. U.S. and Brent crude oil, the global benchmark, were both up more than 7%. Brent crude was up about 7.88% in late trading, while WTI crude climbed 8.58%. Igor Sechin, head of Russia's Rosneft and a close ally of President Vladimir Putin, said Wednesday the drop in global crude oil prices was due to the Federal Reserve raising interest rates last week. Sechin also said he saw oil prices at $50-53 per barrel next year "under a conservative scenario," according to a Reuters story. Oil prices have fallen by more than a third this quarter. Last week, the Federal Reserve raised rates by a quarter percentage point for the fourth time this year to a range of 2.25% to 2.50%. Crude has been caught up in wider financial market issues, such as the U.S. government shutdown, higher U.S. interest rates, and the U.S.-China trade dispute, which shook investors. On Monday, global oil markets extended their declines, taking crude prices to the lowest levels since July of last year. Exxon Mobil (XOM) rose 2.77% to $67.32. Chevron (CVX) climbed 4.41% to $105.44. BP (BP) rose 2.63% to $37.62, while Royal Dutch Shell dipped slightly to $25.03. Aside from beseeching heaven, Quevedo in recent months has enacted a series of controversial measures that oil industry experts, PDVSA employees and contractors, and even everyday citizens say are pushing the once-profitable and respected company towards ruin. In a little-noted reversal of the Socialist government’s two-decade drive to nationalize the industry, the lack of expertise among military managers is leading PDVSA to hire outsiders to keep afloat even basic operations, like drilling and pumping oil. To the dismay of many familiar with Venezuela’s oil industry, some of the contracts are going to small, little-known firms with no experience in the sector. Combined, industry veterans say, the steps leave Venezuela’s most important company - which accounts for over 90 percent of export revenue - with even fewer means to rebuild the nation’s coffers, pay its many creditors and regain self-sufficiency as an oil producer. Quevedo, who holds the title of oil minister as well as president of PDVSA, didn’t respond to requests for comment for this story. Neither Venezuela’s Information Ministry, responsible for communications for the government and senior officials, nor PDVSA’s press office returned phone calls or emails from Reuters. Nearly 20 years after the late Hugo Chavez launched his “Bolivarian revolution,” much of Venezuela is in tatters. Food and medicines are scarce, hyperinflation has gutted purchasing power for increasingly desperate citizens and roughly three million Venezuelans have fled the country in search of a better life. Now, critics say, military officials atop PDVSA have put aside any pretense of running it like a proper business, doing little to stem the fall in production or improve the company’s financial, operational and staffing problems. Demand remains healthy for Venezuelan oil. Operational problems under Quevedo, however, have caused production to drop 20 percent to 1.46 million barrels per day, according to the latest figures Caracas reported to OPEC, the oil cartel, of which it is a member. Quevedo in January will assume OPEC’s rotating presidency for one year. PDVSA’s financial problems are likely to demand much of his attention. The gross value of PDVSA’s oil exports is expected to fall to $20.9 billion this year compared with $24.9 billion last year, according to a calculation provided to Reuters by the International Energy Center at IESA, a Venezuelan business school. Exports a decade ago were over four times as much, reaching $89 billion, according to PDVSA’s accounts for 2008. PDVSA didn’t publish a 2017 report and hasn’t released financial results in 2018. Little has been publicly disclosed by PDVSA or Maduro’s government about the military transformation within its ranks. A Reuters examination based on confidential PDVSA documents – as well as interviews with dozens of current and former employees, shippers, traders, foreign oil executives and others who do business with the company – shows how Quevedo’s National Guard is seeping into every facet of its operations. The documents include employment records, agreements with contractors and internal staff memos. Quevedo has appointed more than 100 aides and advisors from the military and from a previous post as a government minister to senior positions, according to a person familiar with PDVSA’s human resource records. At its shabby concrete Caracas headquarters, once brimming with suited executives, military officers are now in charge of operations. Workers say offices in Quevedo’s penthouse sanctum remain luxurious. But in the run-down halls below, socialist propaganda, including portraits of Fidel Castro and Ernesto “Che” Guevara, is among the scant decor left on the walls. Allegations of corruption have been rife across the Venezuelan government in recent years; Maduro himself is the target of U.S. sanctions for graft and human rights violations, which he denies. In 2017, the president leveled his own accusations against PDVSA, describing it as a den of “thieves.” He accused many former executives of skimming from contracts and laundering money and argued that their graft worsened the country’s crisis. He ordered the arrest of dozens of top managers, including PDVSA’s two previous presidents, chemist Nelson Martinez and engineer Eulogio Del Pino. Martinez died at a military hospital earlier this month, suffering a heart attack while undergoing kidney dialysis, two people familiar with the circumstances said. Del Pino remains detained, awaiting trial. Reuters was unable to reach his lawyers for comment. A person familiar with Del Pino’s defense said he has yet, after a year in jail, to have an initial court hearing. Quevedo’s Twitter profile often features a photo of the general, a stocky and balding man with heavy eyebrows, reviewing paperwork with the president or smiling happily alongside him. His feed consists almost exclusively of retweets of Maduro’s posts. Pleased with Quevedo’s performance, Maduro in 2015 named him housing minister. In his two years in the post, he again became a fixture on state television, often wearing the red shirt of the Socialist movement and praising Maduro’s “humane” housing policies. Opposition leaders scoffed at what they saw as Quevedo’s outsized boasts, including an unsubstantiated claim that the government constructed more than 2 million homes, despite widespread shortages of basic building materials. The housing ministry didn’t respond to requests for comment. In November 2017, intelligence agents arrested former PDVSA chief Del Pino in a predawn raid on unspecified graft charges. By then, Quevedo was Maduro’s choice to lead the all-important company. The announcement prompted widespread skepticism in the industry. Quevedo said he would need little time to get a handle on the oil businesses. “Give me 10 days,” he told acquaintances, according to one person who spoke with him at the time. From the start, Maduro made clear the challenge ahead. In a public address during “Powerhouse Venezuela 2018,” a government conference meant to showcase business potential, the president ordered Quevedo to boost oil output by a whopping 1 million barrels per day – roughly a 50 percent increase at the time. One of his first challenges, according to people within PDVSA, was to stanch the flow of workers, many of whom deserted the company and Venezuela altogether. PDVSA hasn’t disclosed recent employment figures. But estimates by IPD Latin America, an oil and gas consultancy, indicate PDVSA has about 106,000 workers – 27 percent fewer than in 2016. Because of cost-of-living increases that now top 1 million percent per year, according to Venezuela’s National Assembly, PDVSA salaries have crumbled to the equivalent of a handful of dollars a month for most workers. Crews fret a stray bullet from the soldiers’ rifles could spark fires and complain that some of the crime afflicting the country is making its way on board. Although Quevedo has tasked the soldiers to help spot graft, some of the low-paid recruits ask for bribes themselves, shippers said, for signing off on paperwork or completing inspections. “There are many risks,” one captain told Reuters. Venezuela’s Defense Ministry, which oversees the National Guard, didn’t respond to Reuters phone calls or emails requesting comment. Even with soldiers as substitutes, PDVSA can’t find the workers it needs to man many posts. From the processing of crude at refineries to contract negotiations with buyers, the shortage of skilled staffers is hobbling the company. As the tankers loaded, PDVSA port employees noticed a mixup – the two crudes had blended. The mistake, the government said later, forced PDVSA to pay the buyers, because of contractual penalties, $2.7 million. Quevedo has been creating new partnerships that are meant to shore up PDVSA. In August, for instance, the general said the company was “opening its doors” for seven private companies to pursue unspecified “service contracts” across the country. But the companies are unfamiliar even to veterans of Venezuela’s oil industry. None are recognized as having experience operating oilfields. Consorcio Rinoca Centauro Karina, one of those listed on the document, doesn’t appear to have a web site. Reuters was unable to reach it or any of the others. Critics of the arrangements, and government opponents, say the transactions aren’t transparent. By keeping details from the public, they argue, the company faces little scrutiny over whom it chooses to do business with. “PDVSA is looking to maintain its confederation of mafias, its quota of looting,” said Jorge Millan, an opposition legislator who in September led a push in the National Assembly to denounce the contracts. While Quevedo’s militarization of PDVSA hasn’t reversed the company’s decline, the government shows few public signs of displeasure. In October, the government announced a PDVSA board shuffle. Among the changes: Jose Rojas, another National Guard general, replaced a civilian director. Additional reporting by Mayela Armas and Vivian Sequera in Caracas and Ernest Scheyder in Vienna. Editing by Paulo Prada. Chinese refiners are not buying more U.S. oil despite the three-month truce agreed by Presidents Trump and Xi last month, Reuters reports, citing cargo loading plans of Chinese downstream operators. According the Reuters, Chinese demand for U.S. crude has been dampened by political uncertainty around the trade war and, more directly, by relatively high costs of transportation. This means that despite the truce and future positive developments in bilateral talks on trade, U.S. oil will have yet to become a major element of China’s imported crude oil mix. One Chinese analyst told Reuters that price was the top consideration of buyers and the price of U.S. oil simply wasn’t competitive. “Chinese companies have little incentive to buy U.S. crude due to the wide availability of crude supplies today from Iran and Russia,” Seng Yick Tee from consultancy SIA Energy said. Yet trade tensions are not helping, either. With the constant threat of more tariffs, refiners are reluctant to change their buying habits. U.S. crude oil exports hit a high of 23.95 million barrels in October 2017, data from the Energy Information Administration shows, but have since then declined, reaching 2.17 million barrels in September this year before Chinese refiners completely stopped buying U.S. crude in October. Yet China’s total oil imports in October, on the other hand, hit 40.80 million tons (9.61 million bpd), of which teapots imported 8.22 million tons. This was the highest monthly oil import amount on record, according to customs data from Beijing. The increase came despite depressed refining margins that could have motivated lower appetite for crude but apparently did not. The independent refiners drove the increase as they sought to fulfill their import quotas until year-end. 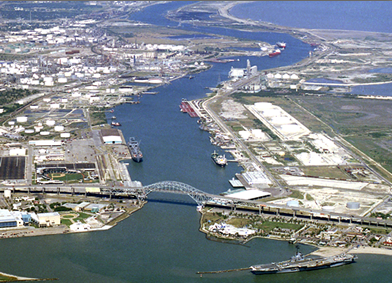 Corpus Christi Authority Port Authority has announced several milestones in the development of the crude oil export terminal on Harbor Island, Texas. Locally-based Lone Star Ports will lead the development of the terminal, claimed to be the first US onshore export terminal able to handle fully-laden VLCCs. Lone Star is a joint venture between The Carlyle Group and The Berry Group. Berry is the largest private employer in the Corpus Christi area through its numerous investments and operations in the oil and gas industry and its subsidiary Bay Ltd, a Corpus Christi-based infrastructure, construction, and fabrication contractor for the oil and gas sector. Lone Star Ports is led by CEO Jeremiah "Jerry" Ashcroft III who has been responsible for the development of several large marine terminals. The company has signed indicative agreements with Harvest Midstream and EPIC Crude Pipeline, which is backed by funds affiliated with Ares Management. These two pipelines will provide connectivity to more than one million barrels per day. It also entered into an indicative agreement with Martin Midstream Partners to provide a single, integrated VLCC solution on Harbor Island. These agreements and arrangements still remain subject to definitive documentation among the relevant parties, co-ordination with the Port, satisfactory completion of due diligence and final approval by each relevant party. "Our partnership with the Carlyle Group is designed to assure global energy markets that requisite infrastructure will be in place and ready to support the growing exports of American crude oil. We are pleased with the progress The Carlyle Group has achieved thus far in reaching full project commercialisation," said Sean Strawbridge, Port of Corpus Christi CEO. HOUSTON — Oil prices tumbled more than 7 percent on Tuesday, falling to their lowest levels in more than a year, after investors learned that Russia and the United States were pumping a lot more oil than had been expected. The American benchmark fell below $47 a barrel for the first time in 15 months, capping a slide that has brought prices down by more than a third since early October. Bountiful, cheap oil supplies are an unanticipated holiday bonus for American consumers. The average price of regular gasoline has fallen to $2.37 a gallon, according to the AAA motor club, 26 cents lower than a month ago. For most of the year gasoline prices were rising, but the recent decline in oil prices has driven gasoline down by about a nickel a gallon compared with a year ago. Oil prices had stabilized earlier this month when the Organization of the Petroleum Exporting Countries and Russia agreed to slash production by 1.2 million barrels a day. But Russia announced on Monday that its output had increased to more than 11.4 million barrels a day, a record, putting in doubt its commitment to coordinate policies with Saudi Arabia and other oil producers. On the same day, the Energy Department reported that the United States was producing 11.6 million barrels of crude oil a day, nearly a million barrels more than a year ago. The department projects that shale-oil production will climb to record levels this month, and increase by 134,000 barrels a day in January. A shortage of pipelines has driven down oil prices from the Permian Basin of West Texas and New Mexico, the most productive American oil field. But the completion of a series of pipelines in late 2019 should benefit producers and increase exports, adding even more barrels to the global glut. The oil industry has struggled since prices plummeted to below $30 a barrel in 2016. Hundreds of small producers and oil-services companies sought bankruptcy protection, and more than 160,000 jobs were cut. As prices increased in 2017 and earlier this year, the industry regained some of that lost ground — a recovery now under threat. “It sure will hurt if it lasts very long,” said Tom Dunlap, president of Tripledee Drilling of Ardmore, Okla. Mr. Dunlap said a price of $60 to $70 a barrel was typically needed to drill a new well profitably in his state. Oil companies have become more efficient by relying on robotics and other technologies to replace workers, enabling them to explore and produce at lower prices. Those adjustments could come in handy as businesses are forced to cut back again in the coming months. So far, there are few signs that companies will meaningfully reduce exploration in 2019, though that could change if prices keep falling and the economy slows. A version of this article appears in print on Dec. 19, 2018 , on Page B2 of the New York edition with the headline: Oil Prices Plummet 7% As Investors Fear a Glut. OPEC has its work cut out to persuade the market that its output caps will stabilize oil prices -- and U.S. producers aren’t helping. Crude settled below $50 a barrel in New York on Monday for the first time in more than a year and continued falling in after-hours trading. 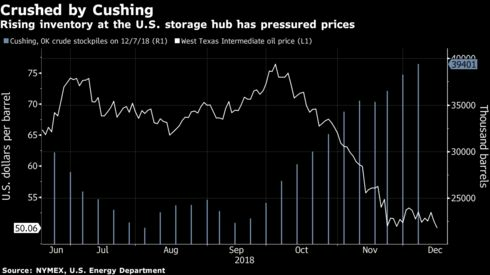 The slide began after data provider Genscape Inc. was said to report growing inventories at the biggest American storage hub and intensified as the U.S. Energy Department forecast higher output in the country’s shale plays. Oil prices are on track for a third straight monthly decline despite efforts by OPEC, Russia and other major exporters to halt the slide. Crude had slunk near $50 in recent weeks but always rebounded. Crossing the threshold was “significant," said Michael Loewen, a commodities strategist at Scotiabank in Toronto. “We’re probably going to see a supply slowdown in the U.S.," he said by telephone. “I do think that producers will react." A dive for U.S. equities added to the pressure on Monday. The S&P 500 hit a 14-month low as investors anticipated a Federal Reserve interest-rate hike that could slow the economy. West Texas Intermediate for January delivery fell $1.32 to settle at $49.88 a barrel on the New York Mercantile Exchange. Bears gained steam after the official close, with oil falling to $49.01, the lowest level since September 2017. The WTI February contract fell to $49.47. 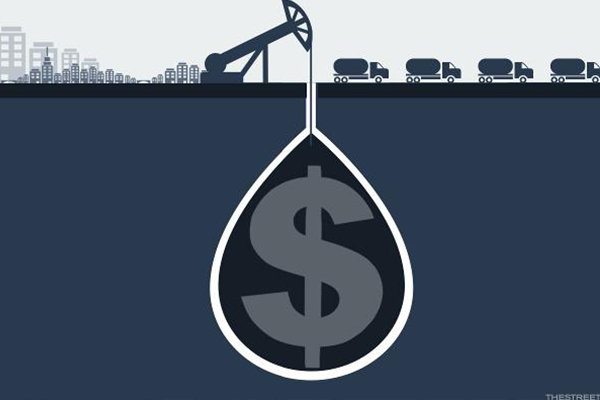 Brent for February settlement closed down 67 cents to $59.61 on London’s ICE Futures Europe exchange. The global benchmark traded at a premium of $9.41 a barrel to same-month WTI. It typically takes about six weeks for OPEC nations to implement supply changes, and Saudi Arabia, the group’s biggest producer, faces added political pressure from U.S. President Donald Trump to keep the taps open, Molchanov said. Gasoline futures fell 1.7 percent to $1.4104 a gallon in New York trading. A former lobbyist who’s helped drive the Trump administration’s policies to expand drilling on public lands is poised to take over at the U.S. Interior Department. Kuwaiti Oil Minister Bakheet Al-Rashidi and two top executives of state-owned energy companies resigned in the latest sign of disputes within OPEC’s fifth-biggest producer. The oil producer’s group has been seriously weakened by its need to bring an outsider into its heart to broker a deal on output. If anyone doubted that OPEC is now little more than a zombie organization, the last 10 days have proved it. The group has shown itself incapable of making it own decisions. Its smaller members have borne the brunt of an agreement to cut output that was only achieved after Russia took control of discussions from the heart of OPEC’s head office. Then, even after Saudi Arabia announced it would reduce supply by nearly a million barrels a day by January, oil traders merely shrugged. It is a sad result for an organization that once made governments tremble. Here’s how it unfolded. OPEC oil ministers gathered in the group’s secretariat building on a wintry Thursday in Vienna. Weakening demand growth and soaring U.S. production prompted agreement that they needed to reduce production in order to balance the market in 2019. 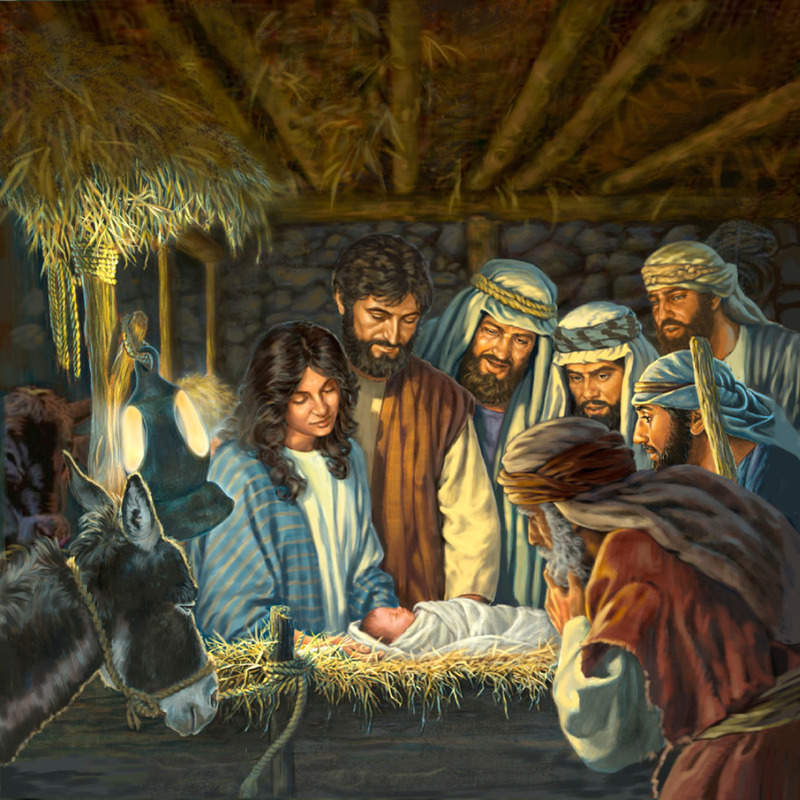 What they didn’t see eye to eye on was how to share that burden. Saudi Arabia insisted that all members should play an equal part, cutting by the same percentage from a new baseline set at October’s production level. Naysayers argued that, given how the group’s biggest producer had boosted its own output by more than a million barrels a day since May, it should therefore bear the brunt of the cuts needed to get the market back into balance. Furthermore, Iran led a contingent of countries claiming their special circumstances warranted exemptions. The stand-off looked very similar to the one that had scuppered a deal in Doha in April 2016 – something that nobody wanted to repeat. But by the end of that Thursday, Dec. 6, officials had failed to reach an agreement and Saudi oil minister Khalid Al-Falih said he was “not confident” one was possible. The gala dinner at the Liechtenstein Palace was sparsely attended, with both the Saudi and Iranian delegations, among others, skipping the event. Friday, the day originally scheduled for the group to meet with its partners, began little better. OPEC ministers were once again locked away in discussions. The talks went nowhere, and the OPEC+ meeting got pushed back to the afternoon. Bilateral discussions to hammer out negotiating positions are a regular feature of the days and hours before the main OPEC gatherings. They take place in the suites of Vienna’s grandest hotels, where the various delegations are holed up. In recent years, the Russians have been part of this scene. 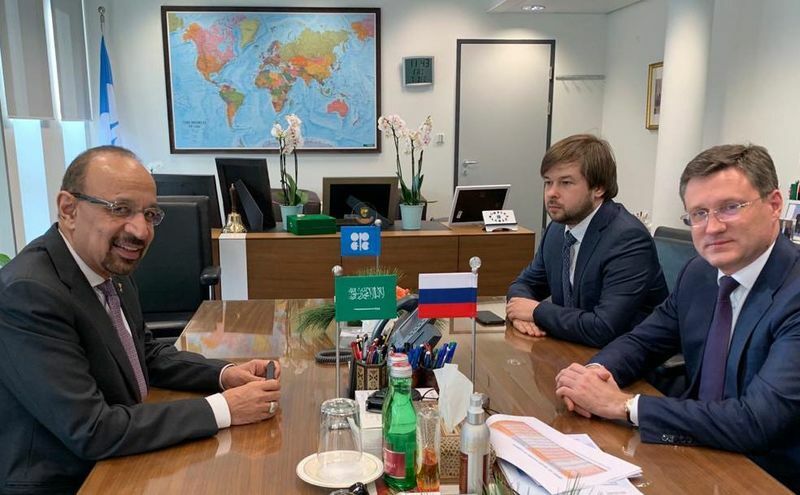 But when Russian Energy Minister Alexander Novak arrived Friday morning, he moved in to the office of OPEC’s Secretary General. If ever there was a symbol of OPEC’s demise, it was this. He then summoned first Iran’s oil minister, then Saudi Arabia’s, for about 45 minutes each. Two hours later, the group reached a deal. And Iran, Libya and Venezuela got their exemptions, even if they didn’t appear in the final communiqué. The agreement that emerged is, on paper, fair and reasonable. OPEC will cut production by 800,000 barrels a day from a new baseline of October 2018 production, with participating members cutting by 3 percent. The group’s partners will reduce their supply by 2 percent, contributing a further 400,000 barrels a day. That combined reduction is just about enough to balance supply and demand in the first half of next year. Saudi Arabia went even further. Al-Falih said the kingdom’s production would fall to 10.2 million barrels a day in January, down from 11.1 million last month. That looks like a huge cut, but it is still 150,000 barrels a day above its target under the original deal. And this is where the inequality of the new OPEC+ deal becomes apparent. Saudi Arabia, Russia, the United Arab Emirates and Iraq boosted their combined output by almost 1.6 million barrels a day between May and October. That not only contributes to the current glut, it also gives them much higher starting points for the latest cuts than for the previous ones. Other OPEC members all face lower starting points. The effect has been to shift a disproportionate share of the burden of OPEC’s supply management since 2016 onto the group’s smaller producers. Handing control of OPEC decision making to the Kremlin has come at a high cost for the group, and most particularly for its smaller members. Some of the latter were already feeling marginalized. This latest deal will do nothing to change their view and the divisions between the organization’s “haves” and “have nots” will only widen. Russia has done very well out of this. It agreed to cut output by 230,000 barrels a day from its October output level of 11.42 million. That would reduce its production to 11.19 million barrels a day, a figure that is just 15,000 barrels below its original 2016 baseline — a cut of just 0.1 percent. Contrast that with OPEC member Algeria, which produces around a tenth as much oil as Russia. Its new target will be 1.023 million barrels a day. That’s a cut of 66,000 barrels a day, or 6.1 percent below the 2016 baseline. And what did this all achieve? Oil markets have reacted with indifference. After a brief rally when the deal was revealed, Brent subsequently sank back below the level it was trading at before the meeting began. Perhaps traders don’t believe the group will be able to implement the arrangement, or are waiting to see evidence that it’s taken effect. OPEC has lost a lot for very little gain. RBC's Croft: What does an OPEC cut really look like? 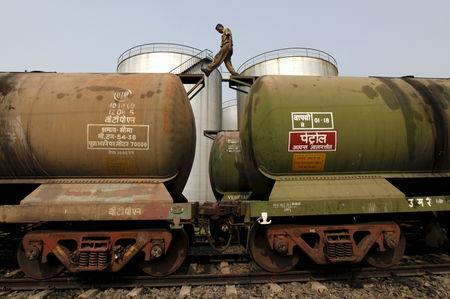 NEW DELHI (Reuters) - India's monthly oil imports from Iran plunged to their lowest in a year in November with Tehran dropping two places to become only the sixth biggest supplier after New Delhi cut purchases due to the impact of U.S. sanctions, according to ship tracking data and industry sources. Last month, the United States introduced tough sanctions aimed at crippling Iran's oil revenue-dependent economy. Washington did, though, give a six-month waiver from sanctions to eight nations, including India, and allowed them to import some Iranian oil. India's imports from Iran in November, included some parcels that were loaded in October. In November, Iraq and Saudi Arabia continued to be the top two oil sellers to India. "Iran do not have vessels to export oil on time ... some November loading vessels will arrive in December," said an industry source, with knowledge of the matter. Government sources say Reuters' calculations showing India's oil imports from Iran in this fiscal year would be higher than the 452,000 bpd, or 22.6 million tonnes, it imported in the previous year, are correct.